The Force has awakened. The Star Wars era seems to have truly begun. Yet far from the machinations of the past, we must not stray. For where we come from leads to where we are going, and where we are going will bring more nuance to where we have been. Where then, have we been? We have been, through both the prequel and original trilogy, in the story that is the rise and fall of Anakin Skywalker. This has, I believe, too often been forgotten. Numerous reasons make this so, ranging from the disdain for the prequels, to the vastness of the Star Wars galaxy, the apparent need to separate the prequels from the original trilogy, and, as of late, the emphasis on the practical effects that are being so greatly promoted as a part of the sequel trilogy. Nonetheless, the fall of Anakin Skywalker is the centerpiece of this story. The original trilogy does not exist without the story of Anakin’s fall to the dark side that the prequels displayed to us. The prequels would be a uselessly depressing story if not for the redemption Darth Vader finds by loving his son, Luke Skywalker, the first person he loves and does not lose. While I am a fan of the prequels, I do see the faults that they have. I am not a fan of Jar Jar, although as writer I can see what George Lucas was trying to do with the character (In fact, it is not just Jar Jar I dislike. I despise any character in any medium whose every important action is but the result of a series of accidents. They are boring and one-dimensional. Had Jar Jar been more three-dimensional and gone on more of a hero’s journey, the whole attitude toward prequels might have been different). Further, some of the dialogue makes my body cringe. All the while, they tell a great and essential part of the Star Wars story. Yet, as of late I have come to a revelation of a bigger issue contained in prequels: the fall of Anakin is much too large of a story to be contained into three movies. I realized this as I rewatched The Clone Wars on Netflix. The things we see of Anakin in the show truly inform his character’s ultimate fall to the dark side. In Episode III it seems like such a swift happenstance, when in reality it has been cauldron brewing for over a decade. There are, of course, some things that are revealed in the movies that must not been forgotten. The death of his mother haunts him when he starts to foresee the death of Padme. The slaughter of the Tusken camp must make him question of how true of a Jedi he really is. His arrogance in his own ability makes it easier for there to be a mutual distrust between Anakin and the Jedi Council. His view of the Chancellor as a father he never had, much more even than Obi-Wan, is but feeding ground for the emotions that all these scenarios bring about. The trouble is, the three prequel movies were not enough time to see the slow burn that created Darth Vader. Enter The Clone Wars, which adds so much more to why Anakin becomes so controlled by his anger and brings depth to the aforementioned struggle Skywalker faced. At the forefront is the exiting of Ashoka Tano from the Jedi Order. This is by far not Anakin’s fault, but he sees himself as the one who should be able to save her and cannot. Just like his mother. To him, Ashoka leaving is a death of its own. It is the death of his being a master, a death of a part of his soul, and the death of their relationship. Ergo, when he envisions Padme’s death, it is a proverbial strike three in losing women that he loves. Is it, then, any real coincidence that we see so few female Imperials? Vader would not want the possibility of caring for another woman to arise when he has so immensely been hurt by the loss of women in the past. Further, the anger he feels in losing these women makes the “sister” line in Return of the Jedi more powerful because he is trying to use the same sort of pain he embraced to fall to the dark side to convert his son. Yet, it is sister (Leia) who Luke ultimately raises his lightsaber in defense of. Thus the power of the female is established as critical to the story and the power of love transitions from that which brings pain to that which brings redemption. Moreover, The Clone Wars subtly but greatly defines the relationship Anakin has with Chancellor Palpatine, who ultimately becomes the Emperor. Without doubt, Anakin has been on Palpatine’s radar since the Battle of Naboo (and possibly even earlier if you subscribe to the theory that Palpatine or Darth Plaguies created Anakin in the Force). But it feels like quite a leap from the relationship the two have in Episode II and their more familial attitude in Episode III. Due to this, it takes quite a bit of reckoning to accept when Anakin bows down before Palpatine after killing Master Windu as something that would actually have occurred. 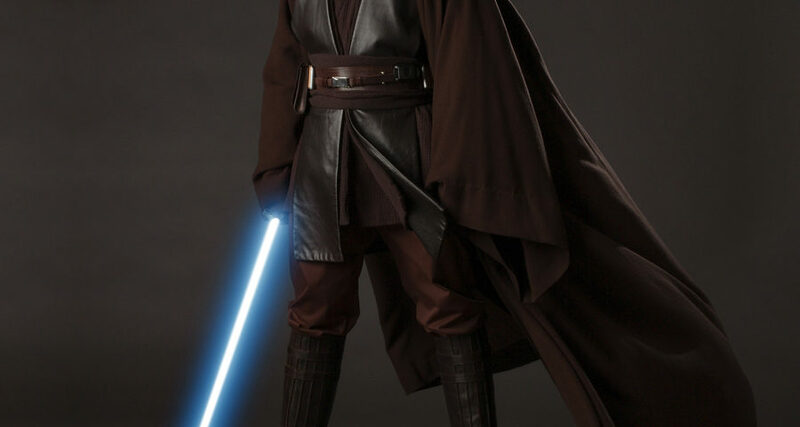 While Windu was a doubter of Skywalker’s place in the Order since he arrived from Tatooine, the truth is that he represents the Jedi, who have been a family to Anakin. To trump that, one must have established something real and meaningful, which Palpatine has done.